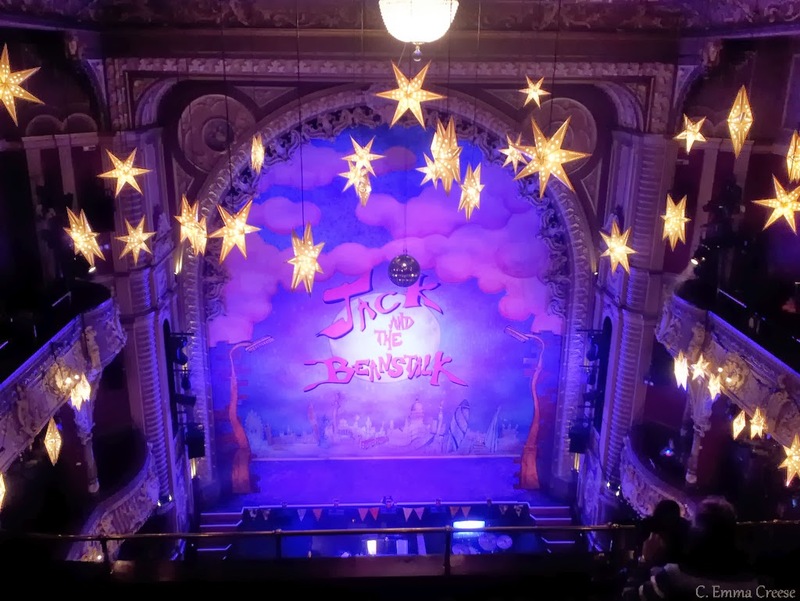 One of the greatest British Christmas traditions (bar the school nativity play, Mince Pies, Christmas Pudding, Roast Turkey, Queen’s Speech and of course Mistletoe) has got to be going to a Pantomime. Enlarge to check out the London landmarks! It’s a such an intrinsic part of a British school kid’s life, that Mr Kiwi assumed that everyone, everywhere around the world has them. Sadly, us Kiwis clearly grew up as barbarians because we never got to boo and hiss at baddies, watch as older men dressed as women pranced around the stage and sing silly songs. As such, I’ve been scheming for awhile for the perfect excuse to go (you see, whilst my Nephews love Doctor Who and will happily watch it with me, going to a pantomime was just too uncool.) 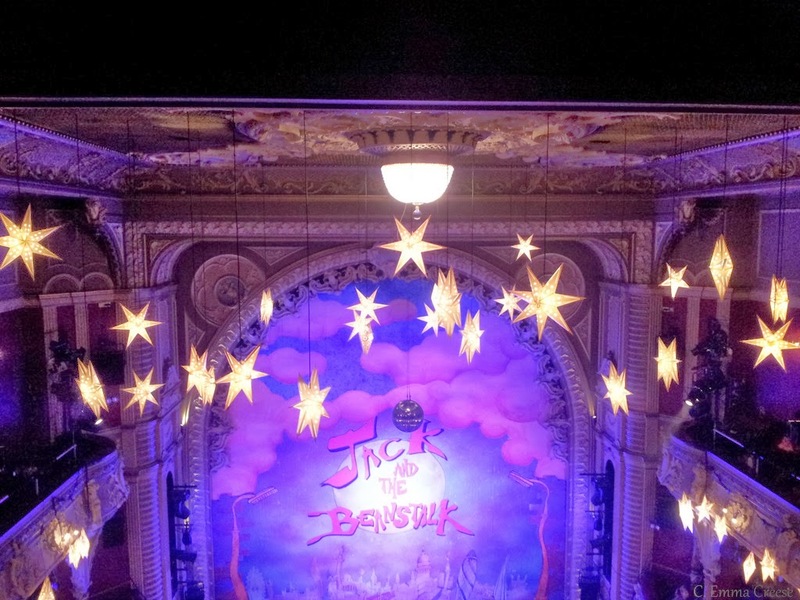 Luckily the lovely Sarah – author of The Wanderblogger, photographer, recent expat and holder of the worlds biggest smile – thought her daughter might also like to see one, and we booked in to see Jack and the Beanstalk at the Hammersmith Lyric Theatre. Unluckily her daughter’s school took the class earlier in the week, but being a great sport we went anyway and she watched it again with us. It is the most I’ve laughed in 2 hours, in a long, long time. 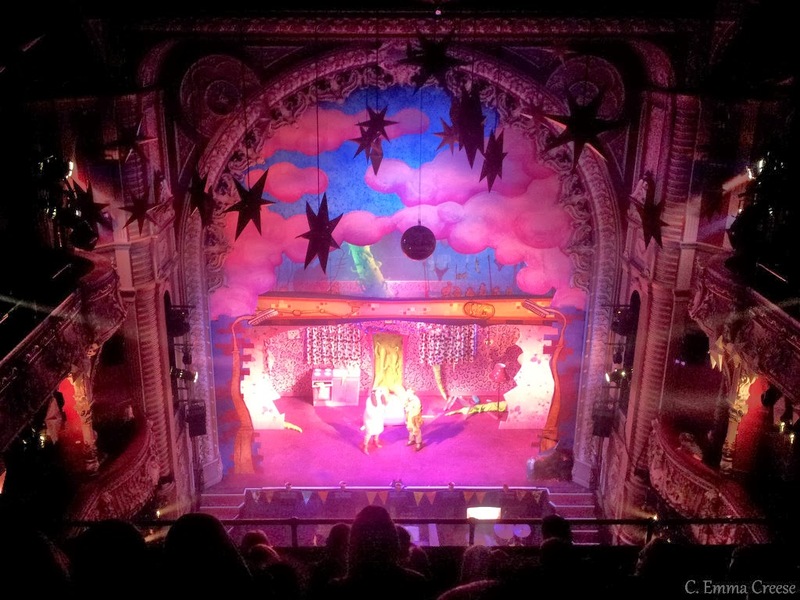 The Lyric team have taken the story of Jack and the Beanstalk and mashed it up, added modern songs, a huge dash of pantomime traditions, a shedload of innuendo that floats over the children’s heads but has parents doubled in their seats, and adds fantastic costumes, hilarious antics and Twerking. The action isn’t set in some picturesque fairy-tale land but bang in the heart of urban Hammersmith. Pantomime was developed from the 16th-century Italian commedia dell’arte, but was developed in London theatres in the Covent Garden area to a whole new level of uniquely British comedy. Just so you know; you will scream, laugh, sing and in my case cry with laughter. Audience participation, including calls of “He’s behind you!” (or “Look behind you!”), and “Oh, yes it is!” and “Oh, no it isn’t!” The audience is always encouraged to hiss the villain and “awwwww” the poor victims, such as the rejected dame, who is usually enamoured with the prince. The good fairy enters from stage right (from the audience’s point of view this is on the left) and the villain enters from stage left (right from the point of view of the audience). This convention goes back to the medieval mystery plays, where the right side of the stage symbolised Heaven and the left side symbolised Hell. Pink faux-Leopard walls of Jack’s Mum’s House. What more could you want? All I know is that it was hilarious genius. So many current trends and celebs get a tongue-in-cheek mention; One Direction, Taylor Swift, Jessie J (with the suggestion that she was originally the giants enchanted harp), Gangnam Style, not to mention ‘what does the Fox say’. I loved the unscripted teasing between the cast mates – they are clearly having a fantastic time on stage. 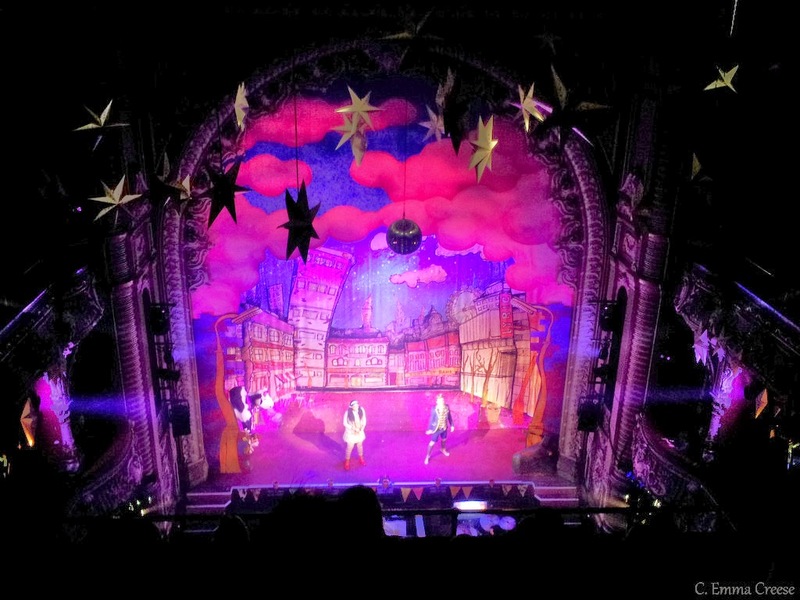 I’m not sure it’s even the kids who have the most fun watching the show – it seemed to be us adults enjoying it the best – one guy near us was perched on the edge of his seat the whole time, shouting, laughing and dancing. My favourite pun of the day has to be the giant ruler that made up the background set of the giant’s castle, inscribed ‘Evil Ruler’. It’s still making me smile. Sarah will have a write-up in the next while and much better photos than mine, check it out!